1. try to identify your smallness and see what is it saying to you (it’s often giving you some kind of nasty lie to pull you down) but if you can really call it on what it is and not get too triggered by it, then you can take your power back. 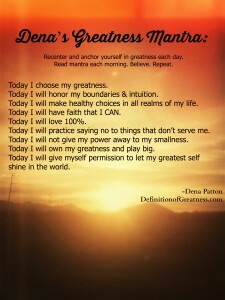 3. then read this mantra or do a quick recentering prayer/affirmation to get back on your game. What I have learned in life is money begets more money, friends begets more friends and greatness begets more greatness. Things build on each other, so the more you practice staying and living from your greatness the more it becomes natural and habitual. 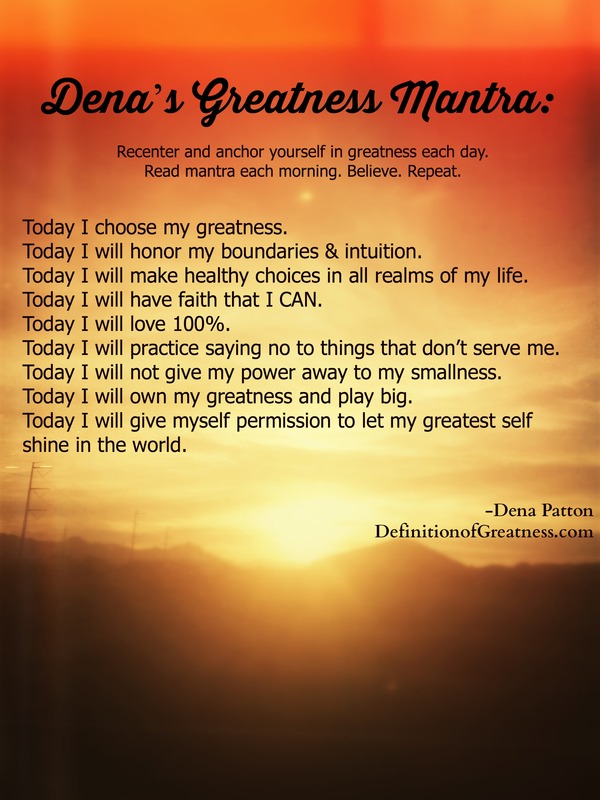 Greatness is a state of being that is your best self and it IS contagious. So go get your greatness on. For more quotes like this click here.